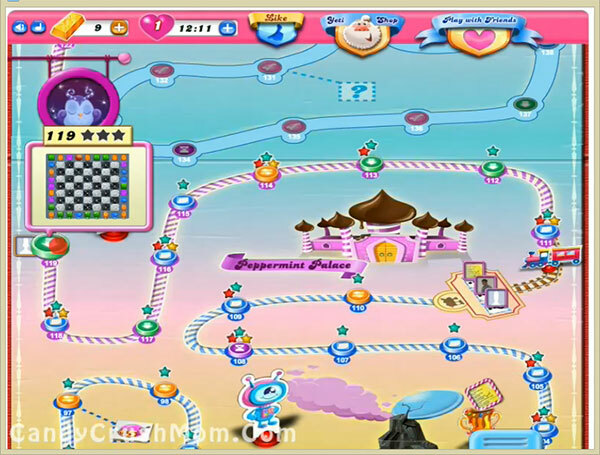 This level have little complicated candies board that look like chess board. This board have 26 meringue blocks that you need to break so ingredient wont stuck on it. First try to break meringue blocks and as ingredient appear try to play and break candies near to it so you can take ingredient to down within 11 moves. You might need few special candies or special combos to break blockers and don’t waste moves on just breaking normal candies else if you don’t have choice. We completed this level with 76100 score within 7 moves by using same strategy and rest four moves converted to striped candy that add some points on score board.